Thank you to those who made Walk to School Day a success! Virginia had over 350 events this year! Many schools in Loudoun held events that brought students, parents, community members, and school staff out walking! It is almost time for Crossing Guard Appreciation day! Start planning now for the event on February 13th, 2019. Congratualations to Dave Becker who was named one of Virginia's Most Outstanding Crossing Guards! The nominations for Dave Becker make it clear he is a pillar in his community. 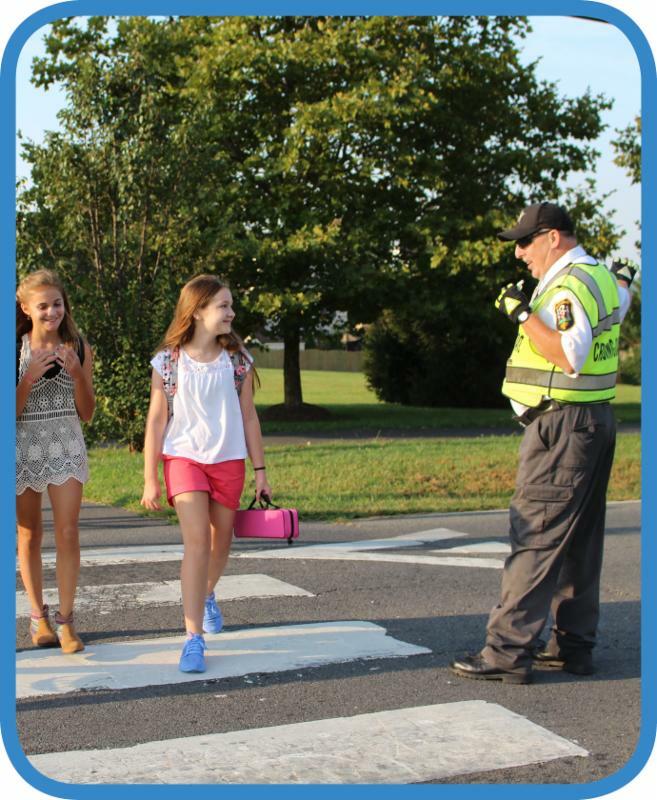 As a crossing guard, he exceeds expectations in kindness, safety, and consistency, and people remark that he makes kids feel cared for as they start and end their day. While remaining attentive to students, he also waves to commuters and parents driving past. Dave is present during the heat, cold, rain, and snow, and always has a smile on his face while maintaining a safe environment for the children. Parents at Emerick Elementary and Blue Ridge Middle School appreciate his "kind-hearted approach and message. They are grateful to him for the value he places in his work." David is a retired firefighter, and continually seeks other opportunities to be involved, making announcements over the school loudspeakers and attending school events and musical productions. Learn more about our Zone in, Not Out resources! Let’s get started! If your is school interested in SRTS program or activities please email Janice or Valerie for more information. SRTS has a variety resources online to help get programs started..